After the Chinese invasion of Tibet, many religious texts inside of Tibet were destroyed. Because of Samling’s extensive library, numerous printed texts as well as woodblocks, were used to create copies that can now be found in Bön monasteries worldwide. The main temple of Samling is commonly referred to as ‘the Yangtön Gonpa’ in reference to the Yangtön family lineage who have historically been in charge of this monastery. Presently, there are four monks who reside at Samling as well as six monks who have traveled to Bön monasteries in Nepal and India in order to receive further training. Currently, Lama Sherap Tenzin Rinpoche is the head of the monastery. He was born in 1953 and has received extensive religious training from the most learned and senior teachers of the tradition. Additionally, he has been trained in the science of Tibetan medicine. Samling monastery owns a large tract of land. In addition to animal husbandry, the land is used for agricultural crops such as barley, wheat, buckwheat, millet, turnips and mustard. Being near the border, there is also a fair amount of trade with Tibet. 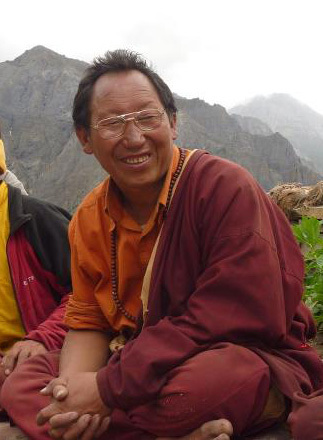 Relatively recently, Lama Sherap Tenzin Rinpoche was instrumental in having the World Wildlife Fund lend its efforts for the study and preservation of the diverse plant life in the region. 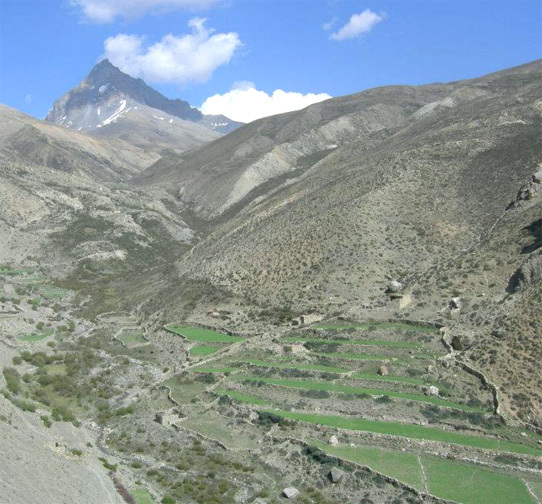 Posted on March 4, 2013, in Tibetan Culture & History, Uncategorized, Yungdrung Bon Monasteries and tagged Buddhism, Dolpo, pilgrimage, tibet, Yangton lineage, yungdrung bon, Yungdrung Bon monastery. Bookmark the permalink. Leave a comment.